A historical interactive reality show involving the audience. 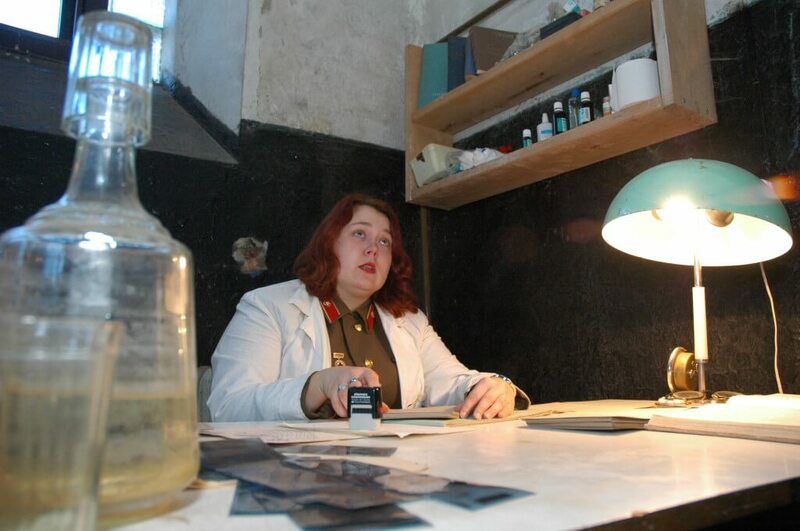 Created on the basis of true stories from life in the Naval Port prison (Karosta) in the port town Liepaja. 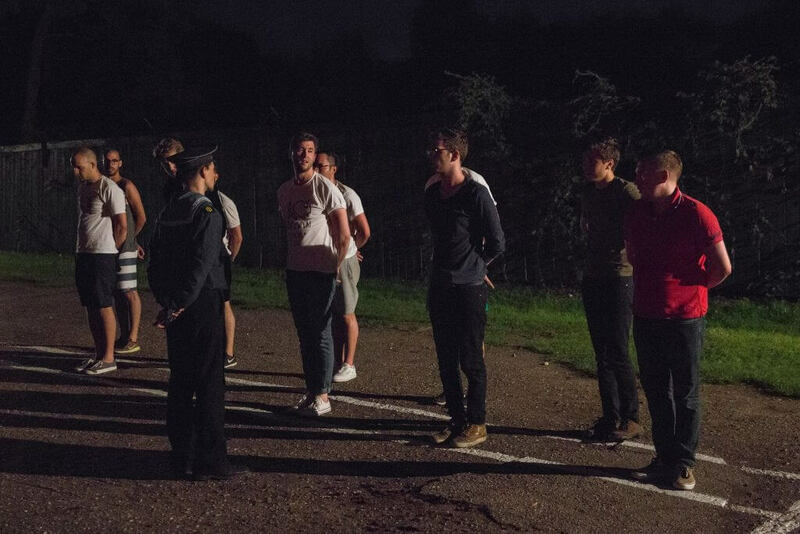 The purpose and essence of the show are to give each participant an opportunity to live the part of a prisoner and learn about the most interesting and shocking facts from the history of the prison. Only those over 12 years of age and brave enough are invited to participate. Participants will be asked to sign a statement agreeing to the conditions of the show, therefore, we kindly ask that you read the Agreement before applying. 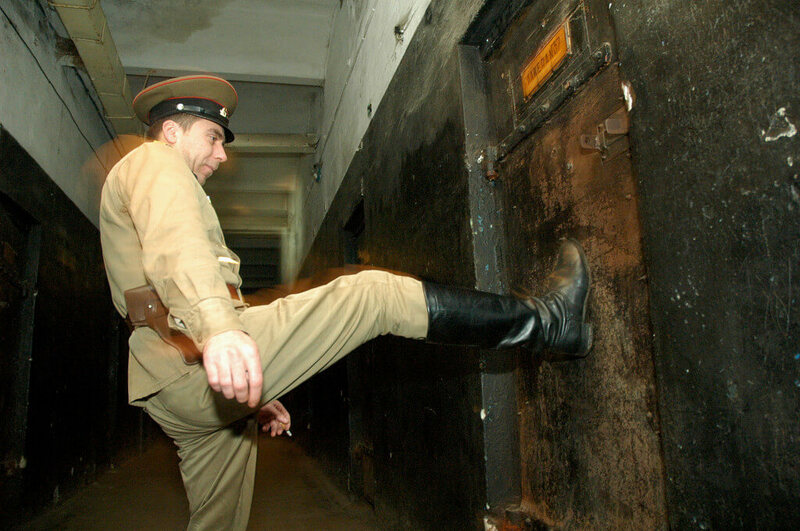 Excursions in Karosta Prison are guided only. 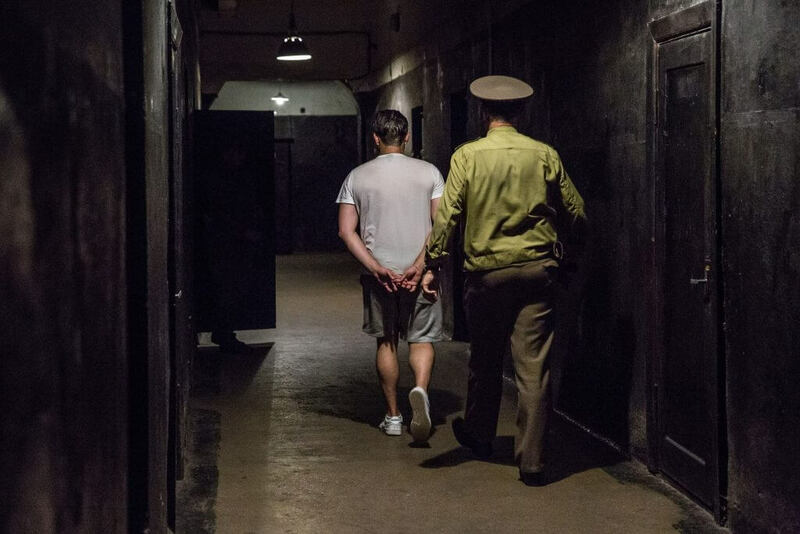 During the excursion, you will have an opportunity to see the prison, which has not changed since tsar times, get to know the history of Karosta and interesting events from prison life. Also, to see prison cells and a punishment cell as well as an exposition by the museum of Karosta prison about WWII, Kureliesi, Soviet times and third Latvian Awakening in Liepaja. Every working day excursions start on the hour every hour. Duration of the excursion is one hour. Groups of more than 10 people recommended booking in advance. An option for those too scared to take part in the “Behind Bars” show but still want a tour that is a little out of the ordinary. 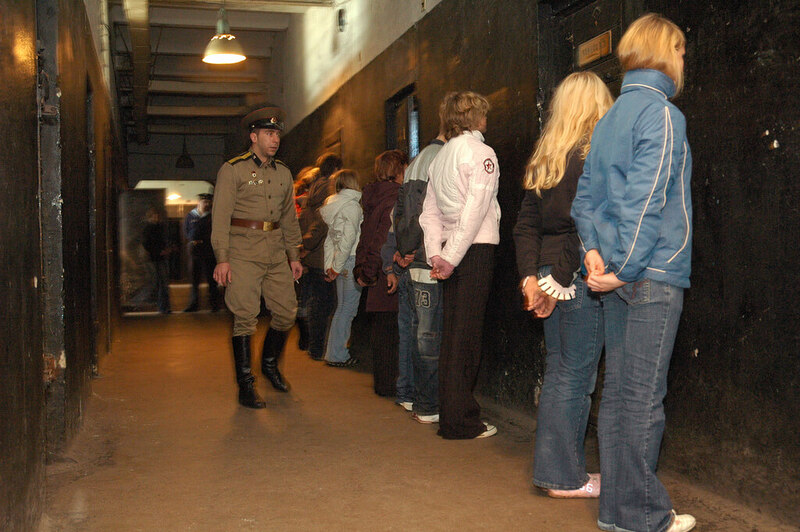 During the excursion you will be asked to maintain high discipline, take part in the military drill, you may be put in the cell, but if you disobey, you will be punished. This offer is for groups (10 and over) by prior request. The game takes place in the former Union of Socialist Soviet Republics (USSR on the border zone which during that time was strictly controlled. Each evening, the beaches were raked so that in the morning the footprints of anyone trying to escape would be visible for the guards to see. You will work as a team to cross a number of obstacles, find a friend who is not able to get to safety alone and get them and your team to safety at the submarine. The team works on the principle of “all for one and one for all!” The most important thing about the game is teamwork, helping one another and providing a shoulder to those in need. In the Soviet border zone, it is vital to be silent and move unnoticed and in secrecy. If one of the team members is noticed by a border guard, an alarm will sound and the operation will be considered a failure and incomplete. Escape from the USSR is for groups of no less than 10 people. Please inquire in advance to reserve your group. The game is open to anyone over the age of 10 years – if parents are present, it might be possible for younger children to escape as well. If participants feel that it would be uncomfortable or unpleasant to climb out a first-floor window, it may be better to choose a calmer, more peaceful activity – in this case, we can offer guided lantern-lit tours of the underground labyrinth at the Ziemeļu Fort. If participants suffer from asthma, claustrophobia or other disorders that may affect performance in the game, we ask that the organisers be informed in advance. Before the game begins, each participant is asked to sign a waiver form that acknowledges that they are responsible for their own safety, are not under the influence of drugs or alcohol and will care for the supplies and equipment provided during the game. Young people and foreigners might find it hard to fully grasp the idea that for Soviet citizens to legally get out of the USSR was almost impossible. For those who could not accept living under the Soviet regime, all sorts of creative ideas came to mind to illegally escape the USSR. But for the most part, these attempts were unsuccessful. Redan is part of late-19th-century Tsar-time fortress which saw heavy battles in 1919 during Latvian Independence War. Today in Redan you can learn about the history of Liepaja’s Fortress and the heroic battles for Liepaja in 1919. The garrison prison of Liepāja’s Karosta was built at the beginning of the 20th century and in all times it has been used as a short term disciplinary penalty place for navy sailors and non – commissioned officers since the beginning of the 20th century. Garrison sailors, who participated in the events of the revolution in 1905, served their sentence in the prison. 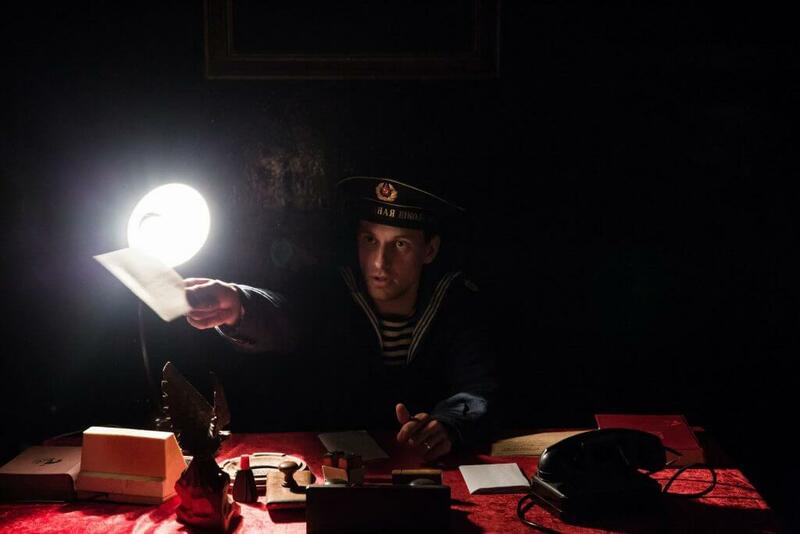 The building has been used as a short term disciplinary penalty place for sailors and non-commissioned officers by both the Soviet and Latvian Navy. The last of the convicts have scratched calendars, drawings, slogans, catchwords and messages on the walls of the cells just a short time ago, in 1997. In the authentic prison buffet, you can have some warm pies and aromatic coffee, also rich hot food. And do not forget the special refreshments! You will be served by a real Soviet-time buffet-lady. 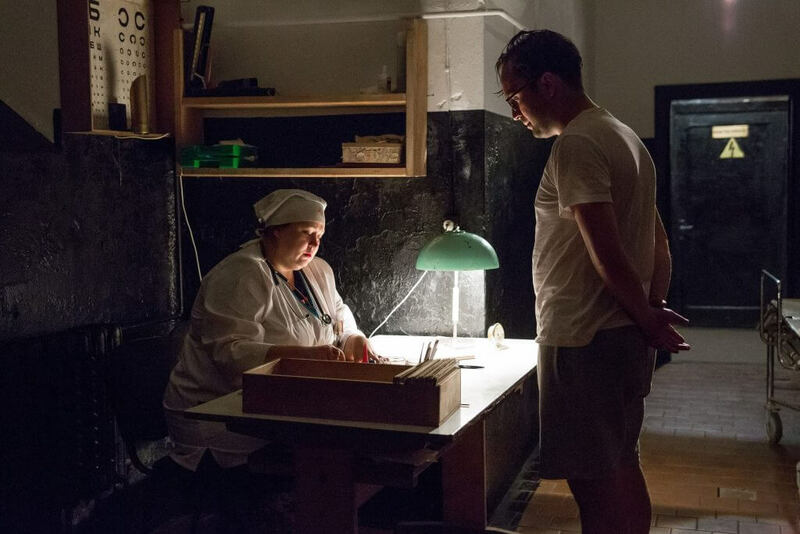 While having dinner at our buffet, you will have an opportunity to read the Soviet press and to see a 16-minute film about Karosta Prison. Group dining, banquets, room for parties and celebrations also available. For group dining please enquire in advance. Karosta prison souvenir shop has original prison souvenirs as well as souvenirs made by local craftsmen from Liepaja and Latvia for all tastes. 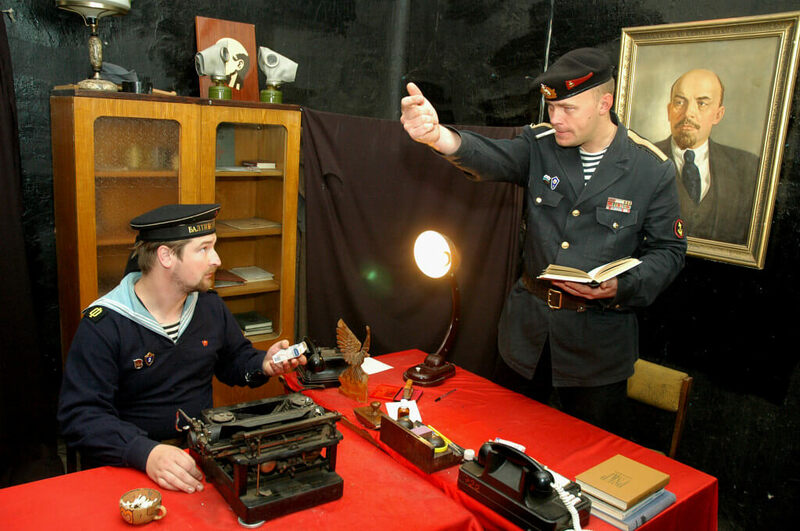 For those interested in all things old and Soviet – Vojentorg (Soviet army shop) awaits!